I watched the Press Conference Kofi Annan and his commissioners earlier today. The Commission proved that it was categorically more than a "shield" used by Myanmar gov. and more than a White Washing Body. The Commission was made up of 6 Myanmar nationals, BUT no Rohingya representation: 3 Rakhines, anmattd 3 foreigners including Annan and another 3 Myanmar). restrictions on various Rohingya freedoms, etc. generals' buy-in did NOT succeed. The generals considered Annan's reports containing FACTUAL ERRORS AND THE MESSAGE THAT RAKHINE NATIONALISTS CANNOT ACCEPT. By all indications, the military WILL NOT implement any recommendation that fundamentally undermines their ultimate mission of cleansing Rakhine region of Rohingyas. This is the institutionalized mission - not dependent on a single crop of generals - with its massive inertia built up over essentially 40+ years since Ne Win's time. As Kofi Annan himself admitted the commission's role is only advisory, without any power for enforcement. 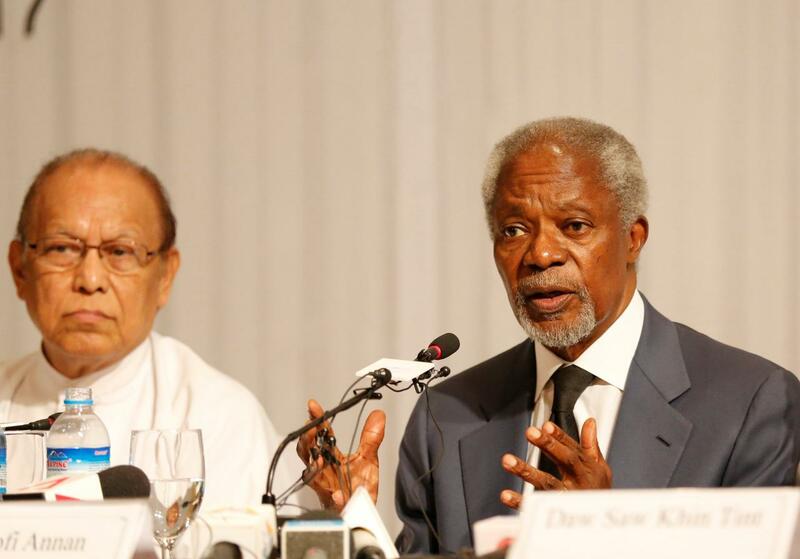 Annan commission has made positive contributions, I will admit to the wide movement to end Rohingya genocide. Annan himself made it clear that his commission is no substitute for UN Fact Finding Mission. For Annan commission did not look into the allegations of international crimes committed against Rohingyas - including crimes against humanity and genocide. Now from One of the "most persecuted groups", Rohingyas are referred as 'the world's largest stateless population". As far as the Burmese military, the plight of the Rohingyas will remain as bad or worse. It is a slow genocide. No less. Whether the word GENOCIDE is palatable to the UN or any powerful entity is irrelevant. The victims deserve at least the proper name of the crimes by which they are perishing or their lives destroyed. Alas, the world's bodies are full of moral and intellectual cowards, for the record. Khmer Rouge's crimes have not been pronounced genocide, nor have Indonesian or West Pakistan genocides. Aung San Suu Kyi would want to implement some of the recommendations. But she too lacks the power to do anything that the military will NOT accept. So, the ball is in the activists' and campaigners' court.